IT’S TIME! We’ve opened applications four weeks earlier than previous years to help you fulfill your dreams and plan your best year yet! 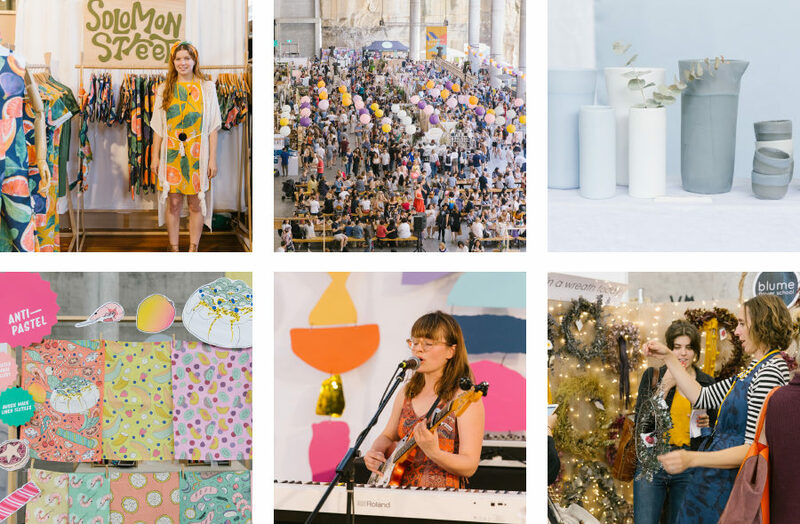 We’re planning a blockbuster 2019 and want to give you – our creative community of stallholders – the best chance to make the most of it, and more time to do so! If you’re planning on applying, you can expect a tweak or two, a couple of beaut new additions and some extra information we now require. Be sure to read on for application dates and updates! All of AW19 and SS19 events will open 4 weeks earlier* than previous years to give YOU more time to get organised. In turn, that’s also more time for us to promote the ever amazing line-up at our events! *Sydney AW19 is NOW OPEN! As part of our beloved creative community, we wanted to be sure that you were the first to hear about the changes leading the year ahead! So keep reading & get excited. To kick start the big year ahead, grab your diaries and note these important ‘save the dates’ for your 2019 market calendars. Be sure to click on your cities event below to RSVP & share our Facebook event too – let’s spread the word and make 2019 MASSIVE. The markets will return to the wondrous The Cutaway, Barangaroo on Friday 3rd – Sunday 5th May. Applications for stallholders who make and produce original and creative work, independent and innovative designs, or high-quality products of a handmade nature are NOW OPEN. As the number of applications grows each year, naturally, so does the competition. We anticipate an overwhelming response in our twelfth year and will continue to ensure that the market remains full of fresh, exciting and ethical ideas. If you are a designer or artist interested in applying for the markets please head here! Don’t miss out; applications close 20th December! that’s next week. In exciting news, we’re introducing a 4x4m Activated premium stall. This is a unique opportunity for you to pitch an idea to activate your stall with an added feature. For example, think along the lines of a chai tent, nail bar, or a place to customise products. Sound fun? Places are extremely limited and successful applicants will receive dedicated promotional support as part of their activation at events. Pitch your ideas! After a rising demand in this category, fashion will take on an exclusive debut section from 2019. At events, the debut fashion section will take up new sizes of 2.5 wide by 2m deep and will feature dedicated change-rooms in the center. Much like our existing debut section, this is for first-time applicants only. We will continue to offer existing debut set-up to help support new and emerging designers across additional lifestyle and beauty products. Food stallholders can also expect a few new questions. These are mainly regarding acquiring additional important details about your stall. It’s important that you provide us with your Public Liability Insurance and your Food Stall Permit, so please ensure that you have these documents ready when you’re applying! We’re committed to working with businesses that promote ethical and sustainable practices in all aspects, from design to product development, to packaging and product lifecycle. You’ll notice new questions about social compliance on the application which delve a little deeper into these aspects of your business. Social compliance incorporates how a business treats its employees, the natural environment and their perspective on social responsibility. Social compliance promotes transparency in business, ensuring businesses are accountable for the various stages of their product development.